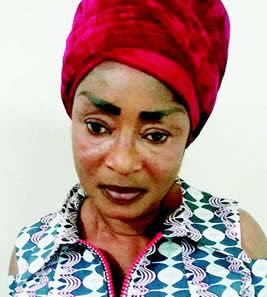 A 51 year old grandmother ,Monsurat Akinyemi was arrested by the National Drug Law Enforcement Agency for being in possession of 180 grammes of heroin. The suspect, a trader, was nabbed during an inward screening of passengers on an Ethiopian Airlines flight from Entebbe, Uganda at Murtala Muhammed International Airport, Lagos. She had four parcels of the drug in her luggage. “Uganda is not a source country for cocaine but drug cartels are unpredictable. They constantly change their mode of operation but we are prepared to counter all their tricks. We will remain vigilant in securing our country from the criminal activities of drug trafficking syndicates,” he said.